Opposing a long-standing orthodoxy of the Western philosophical tradition running from ancient Greek thought until the late nineteenth century, Frege argued that psychological laws of thought—those that explicate how we in fact think—must be distinguished from logical laws of thought—those that formulate and impose rational requirements on thinking. Logic does not describe how we actually think, but only how we should. Yet by thus sundering the logical from the psychological, Frege was unable to explain certain fundamental logical truths, most notably the psychological version of the law of non-contradiction—that one cannot think a thought and its negation simultaneously. 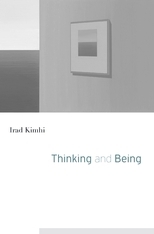 Irad Kimhi’s Thinking and Being marks a radical break with Frege’s legacy in analytic philosophy, exposing the flaws of his approach and outlining a novel conception of judgment as a two-way capacity. In closing the gap that Frege opened, Kimhi shows that the two principles of non-contradiction—the ontological principle and the psychological principle—are in fact aspects of the very same capacity, differently manifested in thinking and being. As his argument progresses, Kimhi draws on the insights of historical figures such as Aristotle, Kant, and Wittgenstein to develop highly original accounts of topics that are of central importance to logic and philosophy more generally. Self-consciousness, language, and logic are revealed to be but different sides of the same reality. 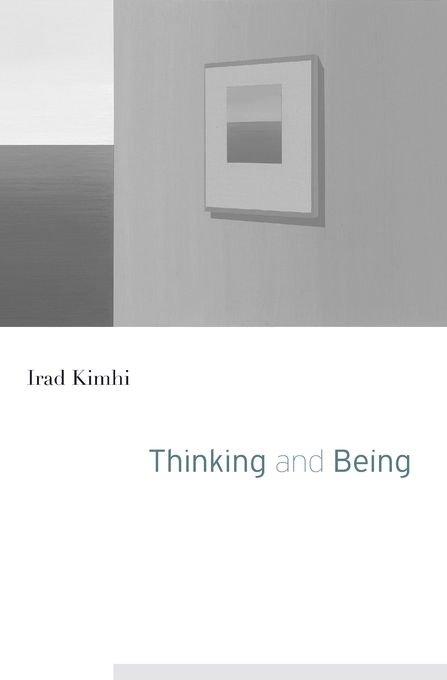 Ultimately, Kimhi’s work elucidates the essential sameness of thinking and being that has exercised Western philosophy since its inception.